Fredric Effects are hand-made with care in UK, being boutique quality effects without excessive boutique price-tags. 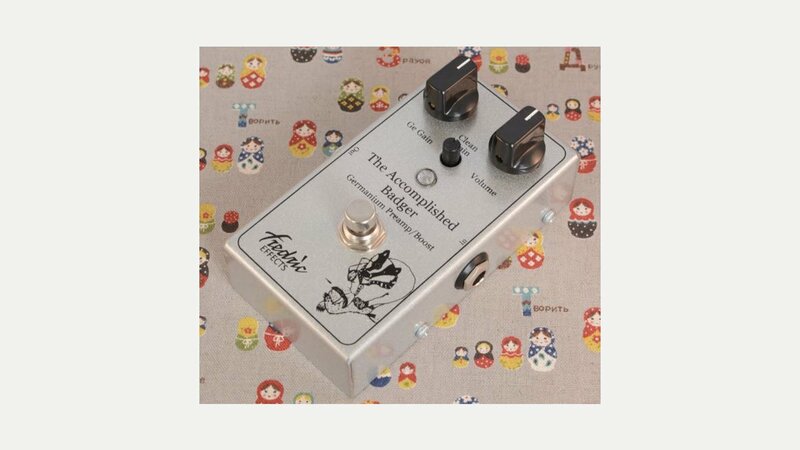 They are known for being small and as fuss-free as possible – why have six knobs when two, with maybe a switch, completes the package. Their large range of pedals includes the Accomplished Badger and Bug Crusher as well as the Hungry Wolf and King of Klone.